Do you want to double your revenue and drastically increase your company’s bottom-line profit? In this interview, Michael Erickson the founder of Search Scientists reveals how he has been able to double revenue every year and stay profitable as a result of systematizing his business! You will also discover how he has been able to deal with the ongoing challenges connected to growth by implementing systems, how he was able to get his team onboard with following systems, and the simple method he uses to track the work and results his employees deliver. How Michael has been able to deal with the ongoing challenges of growth by implementing systems. Why Michael was feeling burnt out working with his team members. Why Michael’s systems were initially too long and hard to follow. How Michael was able to consolidate all projects and put them in one place. Why Michael allowed demand to drive the creation of systems. How Michael was able to get his team onboard with the idea of following systems. Why Michael’s goal was to enable his team members to duplicate great work. How Michael is able to track employee results by measuring the results he achieves for his clients. 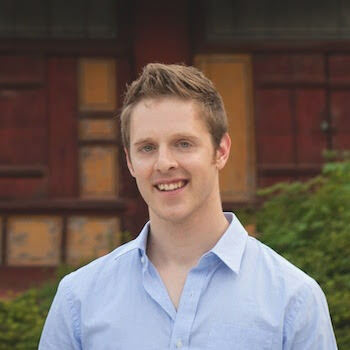 OWEN: My guest today is Michael Erickson and he is the head of sales and client happiness at Search Scientist. Michael, welcome to the show. MICHAEL: Hey Owen. I’m happy to be here. OWEN: Awesome. The show is about getting guests like to who’ve been able to systematize their business regardless of whether they use SweetProcess or not. They come in here to talk about how they did so that our listeners can learn from it and implement what they learned in their business. Before we get started I want to know what are some mind blowing results that you now experience as a result of going through that process of systematizing and automating your business? MICHAEL: Absolutely. I think one of the biggest things is when I initially set out to start a business and I was picturing… We all like to do the back on napkin type planning where we’re planning our business and saying, “Maybe I can grow a certain percentage each year. In the few years that we’ve been in business we’ve doubled every year. And I think a big part of that is having systems in place. So I’m excited share some of the insights that I’ve experienced working with systems and SweetProcess since I’m currently a customer myself too. OWEN: Awesome. I think during the pre-interview you said you actually have more vacations in the company as a result too. MICHAEL: That’s right. This is something that’s personally satisfying. I think every entrepreneur out there can relate to the grind where you’re working a ton of hours, you’re working on the weekends, you’re working after dinner, when you’re tired and all you want to do is just relax and be with your family. I know that for me it was a huge victory once I was finally able to take a short vacation, or even a long vacation with my wife. That was really, really important for us. And internally at the company too we’re starting to do a lot more team meet ups. I know that Bobby, one of our account managers at Search Scientist is actually flying down. We’re going to have some fun down here in the Caribbean so I’m excited about that too. OWEN: That’s awesome. How will you say the company has been transformed as a result of systematizing your business? MICHAEL: Like I said at the top of the show I don’t think we would’ve been able to grow the way that we did without being systematized. It was very challenging for me to get this in my head. Being a technical founder working in the world of online marketing I love doing online marketing. So if I could fill my day up I’d be doing a lot of online marketing. But to grow a company I needed to take a step back and I needed to say what’s the standard that we want to hold here at Search Scientist. I need to write that down so that others could also follow that, so we can what we love which is online marketing. We can give that to more people. So it definitely helped me go from sort of a one-man band to being able to find other really smart people to work with. And let them know this is the way we do things. OWEN: And systemization is great for the company but it’s not only for the company because there’s also personal benefits. I want to have you share some of your personal benefits. How did your personal life has been transformed as a result of systematizing and automating your business? MICHAEL: Yeah, this is an interesting one. I think it’s the classic entrepreneur, the business is them. So the gut reaction, the instinct for an entrepreneur is to just keep going and going when things are busy and you just work more. And that was my formula for a long time, except not a healthy formula. I am very close to burning out several times if not burning out or just have no interest in doing something that I enjoyed even things outside of work, outside of the actual business. I didn’t want to do because I felt so much pressure. Maybe I shouldn’t continue to work with them. Oh boy, I really don’t want to work. And that’s like a clear sign of being burned out. So being able to step out instead of the way to improve thing is not to work more, it’s to work smarter and for a business owner getting the idea of systematizing and getting out of the idea of working seven days a week and tons and tons of hours. She’s not sustainable if you’re doing that. I know that I wasn’t getting my best performance at all times. Instead of working a mediocre 70-80 hours a week why not work a really strong 40 hours a week for systematizing and getting smarter about it. So it definitely allowed me to focus important things to the business, helping others, and it’s definitely been able to get me… It allowed me to do my best and be able to take time out for personal life too. OWEN: And now that you have the business systematized. I’m wondering though since the business now runs without you what’s been the longest you’ve actually been away from the business? MICHAEL: Yeah. One of the things I think is interesting, I love systematizing for a lot of reasons. It helps us deliver great work, it helps people do their best. I love the idea of not only doing that but also taking to rest and rejuvenate as a way to continue doing our best. So there was a business conference last year in Thailand and my wife and I turned that into a month-long trip. So while I was out there I was definitely still doing some work absolutely, but at the same time it was optional but I didn’t necessarily need to because we have really smart people on the team. So I would say that a month-long vacation really clicked. OWEN: Being able to do one month from working ours. We’re going to talk about that later on. I’m also wondering because the listeners are probably wondering what’s your business about and want to get some context about it. What exactly does your company do and what big pain or problem do you solve for your customers? MICHAEL: Absolutely. Business is finding new customers online through paid advertising. So whether it be Google AdWords, Facebook ads, YouTube ads, we help customers connect with people who are ready to connect with them. We’re basically I guess you can call paid traffic managers. OWEN: Okay, awesome. How many full-time employees do you currently have? OWEN: I think you also mentioned, just so the listeners understand that your team is virtual and is a distributed team, talk about that. MICHAEL: Absolutely. We are a distributed team I’d like to consider us. In terms of knowledge, in terms of computer work I think in the future this is all going to be done in a remote environment or some degree of remoteness built into it. The days of long commutes is becoming extinct. When we put out a job ad we get great applicants literally all over the world. So we have team members from Michigan, myself, and those in the Virgin Islands. We have someone from Oregon who lives in Mexico, someone from Romania. We get a lot of cool perspective in our team chats and our team meetings where all these great people with all these great different perspective can come join the team and we’re not limited by just a 10-25 mile radius. OWEN: Yeah. There’s so much power in remote work because you’re not limited by people in the local geographic. Anyway, you also mentioned that you just hired a brand new intern as well? MICHAEL: Yeah, this is really, really exciting. In the past, the idea of an intern, taking someone who is really attracted to online marketing, is really attracted to this type of work that we do which is part of a distributed team which so many young people are attracted to. For me that used to look like me doing extra, it used to look like me doing all my normal work and then training. But instead it hit me hard like it gets out of work and it says that, “Hey, why don’t you come up with a system to train people so that when they come in, boom, they already have their training right there available.” And then you can interact and do your best work and sort of coach them one hour a week as oppose to meeting with them over and over again because there is no system in place so you’re coming up with a plan ad hoc. So it’s really just nice to have a system and then work that system. And it helps the intern or the intern too because they know exactly what’s expected of them. They know exactly where they’ll be in three months and it’s healthy for everyone. OWEN: Awesome. Is the company profitable? What was last year’s annual revenue and probably what do you expect this year? MICHAEL: Absolutely. We are a bootstrap company. I started this way back when. So part of being a good bootstrap company is that we’re profitable from day 1 which is pretty cool. It’s really unbelievable. I’m happy with our growth so far. We’re doing about a quarter a million dollars a year. OWEN: That’s awesome. Take us back to, because we’re talking about all the benefits you’ve gotten so far from systematizing and automating the business. But it’s not always like this. Let’s go back in the story. Take us back to when the business was not systematized and automated like it is now. What was wrong with it? MICHAEL: I’m picturing the screen going black and white color and goofy sounds as I think back to this. It was tough. It was very, very much a grind in the sense that things would take so much energy to do and then you put in so much energy in the next week, you just have to pour it in all over again because there was no build up, there was no natural progressions. Instead now having the system, when I do things now I’m able to build upon that in the following months or weeks. But when I first got started there was a lot of disorganization… a lot of different things and not really having a system to grow from there. One of the biggest ones I think team members didn’t know what was expected of them. It was kind of, “Hey, today this is important.” And then the next day this is important. OWEN: It’s like something shows up and then that’s what we’re rushing after. Go ahead. MICHAEL: Exactly. I feel foolish just thinking back on it. Wow, it’s so obvious, have a plan and come up with a system to work that plan with a goal in mind. It’s so simple now. But way back when it seemed dumping so much energy and it felt almost right to have a brand new most important thing every single day. But having a system definitely helped about what is that important thing and what kinds of things do we need to do on a day-to-day basis to achieve that goal. OWEN: You mentioned then that some of the lowest points that you were actually dealing with back then was feeling burned out. Talk about that feeling. How did that feel and what was happening to your team at that time? MICHAEL: It felt like a slow descent into quick sand. Because I was putting in so much energy, I was working long hours, I was doing all these good things, I was working with smart people, and it just continued to feel like I wasn’t actually getting anywhere. One of the easiest, tangible aspects of that is a lot of the team members would always ask, “Hey Mike, what do I do now? Hey Mike, what do I do next?” It was very hard to get any productive work done, answer your questions, “Hey Mike, how do I do this?” “Hey Mike, how do I do that?” It never allowed us to actually build towards anything. But now we definitely have a system in place to be able to, if someone has a question we have a system incorporating that into our learning process. So that if one person get that question we can educate everyone, sort of a smooth system. OWEN: And besides even the issue of feeling burned out, at that point when you were describing some of the lowest points that you’re dealing with, I think you also affected your customers as well too, right? MICHAEL: And that was a really, really big one. That was pretty much the breaking point. I love what I do because it genuinely helps people. I love getting emails that say, “Hey, thanks. Because if you guys our business were able to do something else now.” I love that genuine feeling of actually helping people. And we have this really fantastic, great customer who I’ve become friends with. And they sent me a message one day and they said I’m very disappointed because this needed to get done, you said you would get it done, and I just didn’t. And it felt like a pop fly baseball came right to me and it just fell. And like everyone on the team are just looking at it fall down. None of us communicated who’s actually going to take care of it. And to let a friend down, painful. OWEN: I totally understand. Especially since the pain, for you to solve their problem and from one reason or other things are falling down on your end. I totally understand that. When you reach that breaking point you said you’re going to systematize your business, what was the very first thing you did back then to systematize the business? OWEN: So you had too much information at that point too? MICHAEL: A ton, to the point where anyone who would try to follow that would just get lost and we end up taking even longer and just more frustrating for them. OWEN: Yeah. And so, what was the second step you took? After you did that first one you said there was an issue with the procedures were too much details, not even necessary details. What was the second step you took to now systematize the business? MICHAEL: Yeah, this is definitely not a paid advertisement in any way but we actually did find SweetProcess. Basically what it was, if you picture a Google Doc with tons of info it, and then you compare that and break that down to actual actionable steps where people can actually say, “Okay, that’s step one. Let me tick box when it’s complete.” And then if they’re a little unsure on step there’s like a beautifully formatted paragraph underneath if they need it. That’s what we needed. Instead of it just being a huge mess of text, it became like a checklist, and that’s pretty much what we needed. We needed a checklist. Hey, if we’re going to be working on this these are things that are going to be important to you. This is the concise procedure to get things down. OWEN: You also mentioned that you also started using videos as well too. How did that help? MICHAEL: Tremendously. I love incorporating videos into helping people understand how to do things the best way that we all know how. So definitely record videos, and again we not a paid advertisement but the videos embed so nicely inside of our processes now. It’s fantastic. OWEN: Let’s be honest, we do these interviews regardless if entrepreneurs use SweetProcess or not, so it’s exciting to have my customer on here talking about it. Advertise as much as possible. OWEN: I just have to say that because you’re providing value to the listeners. Go ahead. MICHAEL: That’s right, yeah. The format was really important for us. Because when we’re creating it in Google Docs it definitely took a ton of time. And part of that reason was we didn’t really know what makes up a good process. We thought that you had to put in tons and tons of descriptors, it’s just a mash up of information. But having sort of a checklist that says, “Step one, do this. Step two, do this” underneath each step, being able to provide a little more support there was exactly the format that [Unintelligible 00:16:22], so it’s really helped our team become much more efficient. Team members ask me how to do things, I cannot remember the last time that actually happened. OWEN: Wow. We’re going to talk about that so how do you feel now that they’re not asking for your help anymore. I want to dive into that emotion of everybody needs you and then now they don’t need you as much. We could talk about that next. But going with the flow of the interview as to what you did back then, I’m wondering what other steps did you take to systematize the business. I think you mentioned something about using a project management tool in addition? MICHAEL: Yeah. That’s another thing that’s great for us too. We were able to put everything in one place, almost like an extension of our brain. So for that we use a few different tools. We’ve used Trello. Currently we been on Asana which is a project management board like Basecamp, and that really allowed us in coordination with training videos and important issue with standard operating procedures. It really helped us get a grip on this is how we do things the Search Scientist way. OWEN: That’s awesome. Back then I’m wondering how did you even prioritize the order of steps of what systems to create first and what to create next. What was the reasoning behind how you actually started documenting things and stuff like that? OWEN: No fires. Let’s make that concrete for the listeners. I’m wondering, here’s a real example of how that applied in for a specific task where there was a fire and you putting it out. MICHAEL: Absolutely. One of the most common tasks is creating AdWords. And there’s definitely a right way to do it, there’s a so-so way, and there’s definitely a bad way to do it. And in the word of online marketing, we get a lot of misinformation out there. Of course, we do due diligence when we start working with someone new. We interview them, we give them skills tests, we give them a lot of things. But with the hundreds and hundreds of tasks that someone would do over the course of the week we want to make sure everything have a very, very high quality. So there’s one task where the AdWords ad group was just kind of setup in a kind of way and being able to say… Because previously that would’ve been hours and hours of my time explaining, “Hey, this is the way we do it. The is why it’s better” because we want to make sure it’s meaningful to them as well and you don’t just want to say, “Hey, you did it wrong. Do it this way.” You want to make sure they understand why we’re doing it in a certain way. So instead of having it be hours and hours, boom, “Hey, I noticed that you did the AdWords ad group this way. Take a look at this email or take a look at this procedure, and now you can see the way that we do it. Boom. Incredible Owen. OWEN: At that time when you were actually working on systematizing the business and trying to automate certain tasks that you do, I’m wondering what books or mentors had the most influence on you and why? OWEN: By Sam Carpenter, right? MICHAEL: That’s right. Like I mentioned before, I’m a podcast too. I think anyone who’s struggling with the concepts or the implementation of introducing systems into their business should definitely check that out. I would say that we don’t follow it 100% but I would say that it’s definitely a great mental model to work with. And then of course, apply, make some tweets for their particular business. I also love Getting Things Done by David Allen. And for me the biggest thing that I took away from Getting Things Done is that our brains are poor task managers in the sense that we might think that we’re able to hold all of this information inside of our head but really we cannot. It definitely is helpful, almost outsourcing, some of that brain management, that task management to an actual task manager or projects manager. Like I mentioned, we use Asana for that. I love getting things out of our head and onto the screen. And more importantly, other people on the team can also see that. A plan is only as good as its implementation. So being able to take it out of your head, putting it on the screen so that other team members can also work on it. That is huge for us. OWEN: And if we only talk about what you did and the results you got we don’t share the full picture. So that’s why I want us to talk about some of the challenges you actually experience when you… Starting now, what will you say was the biggest challenge you experienced when you initially tried to systematize the business and how did you solve it? MICHAEL: The change is hard. I think change is hard for anyone. So educating the team, sort of saying, “Hey, I know that you used to come to me for answers. I know that’s very comfortable for you right now but it’s not getting us where we need to be. It’s not good for me, it’s not good for you. And so the biggest challenge is really introducing this concept, being able to get everyone on board, sort of say, “Hey, I know that you’re struggling. This is the way that you have been solving it, but we’re going to come up with a much better way to solve it. It’s going to make Search Scientist a bigger and better company. That was big for us. OWEN: You mentioned also regarding this very point making your system now mean that the team no longer have to be created? MICHAEL: Yeah, that’s a big thing too. I wanted our systems to not turn people into an automaton, just follow a list. I wanted there to be good opportunity for people to also apply their skills, unique talents, and their expertise in a creative way. Our original processes were not great. They were teaching people to be a robot. But our systems now have been tweaked to be much more practical and much more usable for people to apply their own creativity. OWEN: How do you get that ongoing feedback from them? I’m assuming that as they’re doing the work they have to be empowered to actually help improve it, is that what you were doing there? MICHAEL: Exactly, that was the big one. As you create systems to get things done in the business now all of a sudden it’s, “Now, we need a system to maintain the systems.” That might sound silly but it’s absolutely true. Doubly so in the world of online marketing where things are constantly changing from the simple, maybe there’s an interface change where previously you said, “Go to this website and click on this button… somewhere else” to the big where, “Hey, this strategy is now out of date. What are we going to replace it with. It can be as simple as when they finish a process was there anything that should be added? Let it done like project management board. Once a month we go and we update our systems so that gets logged then. OWEN: I love that. You actually have a way in which as they’re doing the work they see that something needs to be updated so you have a stockpile of things that need to be changed. And you also schedule time to say once a month let’s go back into the system and look into that stockpile and say, “All these stuff needs to be updated.” And then you go and update it, right? OWEN: I love that. Given all the challenges that you experienced with trying to systematize your business, why did you even stay committed to this goal of systematizing the business? MICHAEL: That’s interesting. Part of the reason I think someone starts systematizing is because they’re not systematized and they struggle with it. So change is hard then. And then once you start systematizing you realize, “We’re putting out fires and we’re seeing them go down, but is there an end in sight?” And I definitely think there is an in sight. So the things that really helped us was really communicating, getting on the same page, making it everyone’s goal to become a high quality, systems oriented business in the sense that if I do something great someone else is going to do it the exact same great way. And that gives everyone on the team a good piece of mind that if I do great work, then I know that everyone else is doing great work. Because the founders and the team members really, really like that. OWEN: I think you also mentioned during the pre-interview that as a result of systematizing the business back then you saw some early progress that actually helped you guys stay through it and just continue moving forward. MICHAEL: I think one of the biggest thing is team members want to do a good job. Everyone wants to know, “How can I show up and do the absolute best work?” That was a nice, tangible conversation that we had where we said, “Hey, everyone wants to do great work. If we follow these systems we’re all going to do great work” and that was really important for us. OWEN: Earlier you mentioned that you have all these fires and then eventually you got to a point where people are not asking you for stuff anymore. There was change from bringing this person that they always needed and to the point where systems were now in place and the questions were not coming. How did that feel though? Be honest. Let’s feel free to be vulnerable here. MICHAEL: It felt great. It’s really tremendous seeing team members do quality and great work, and customers get really, really excited to the business owner. Sort of seeing that and saying, “Wow, that entire process happened.” The only part that I had was sort of setting them up for success with the quality system, something like that. And then personally feeling, “Wow, that’s great. I don’t have to hold everyone’s hand anymore.” It’s really tremendous. OWEN: That’s for as the owner of the job. I’m wondering, if it was the manager, how would they feel knowing that they’re replaceable? MICHAEL: I think that gets back to the systems. The systems do call on making sure someone quality is actually implementing it, making sure that everything that we do does allow for some degree of creative expression. There’s still definitely unique things that a system cannot replace. OWEN: I guess what you’re saying is the sense of satisfaction where they’re actually taking part in improving the systems. OWEN: …what they also gain from that. And I’m sure you think that as well. I’m wondering, at what point, and let’s come more to the current time. At what point in time did you feel like you’re able to systematize your entire business and have it run without you successfully? MICHAEL: Yeah, so far the main system that we’ve been talking about so far is our actual online marketing fulfillment, actually doing the work. And then stepping back even further and realizing a business is even more systems than that. It’s a ton of systems… There’s a marketing system, there’s a sales system. So doing things like going from no marketing department, having no necessarily marketing plan because we were so busy floundering around in trying to figure things out to be able to say, “Now, we approach the next level of our business, we’re going to apply systems from day 1” and marketing department for example, just content marketing and email outreach, Q and A’s, the internet, all those different things. We’re able to create strong systems from day 1. And it sort of empowers us that there’s nothing that we really can’t take on. We can really do what we need to do to get done because we have a framework for approaching new challenges and getting things done. OWEN: But I think during the pre-interview you mentioned at least a year and a half ago was where you now really saw the impact of this systemization, right? MICHAEL: That’s right. About a year and a half in. It took us some time to go from just me to having smart people operating with smart systems. I would say that allowed me to do things like take that nice, long vacation with my wife. If that’s not one of the best thing that you can do as a husband and as a business owner I don’t know what is. OWEN: Just because we’re talking about how the business currently operates, and one of the things that my listeners like to do is always go behind the scenes and look through the different parts of the business. To make this question easier for you to answer, think of your business like a conveyor belt. One part of the business is somebody who probably needs help with their AdWords campaigns and stuff like that in order to generate leads on AdWords. On the other end of this conveyor belt is that person who loves your service, they use your service, and they’re raving and talking about you guys. But behind the scenes are parts of your business working together, systems to make that transformation happen for this customer. Walk the listener through the different parts of your business currently and how they click together. MICHAEL: Absolutely. I think that first part is a healthy dose of good, technical knowledge, and good value to the customer. One part, making sure that we know exactly what the customer needs, making sure that we give them that at a good price, moving further down the conveyor belt. Having a system for good customer support, making sure that we have quality, whether it be a quality email template or a quality approach to solving the issue that they’re having. Moving down, making sure that they’re getting their questions answered, and making sure that they feel comfortable with the service that we get them. This is tangible inside with our business, with the systems, the project management board, systematizing right down to an on boarding system. I guess you would say this is all directly start of the… before they actually become a customer we have the on boarding system making sure that they’re great fit. Even before that we have some sort of a marketing system. When do we post guideposts, when do we do certain kinds of things. It’s definitely a living, growing creature, and I think it all starts with systematizing. OWEN: Yeah, and I think you mentioned something about the CEO… Let’s talk about that. MICHAEL: This an analogy I heard. The CEO of McDonald’s, he’s not at the store making the cheeseburger. So I think in the same way that a lot of, especially technical founders who have the technical expertise in the field sort of realize, “Hey, I can create a great organization but I don’t need to be in the kitchen making the actual cheeseburger.” So the interesting way you could do it, definitely a mindset that small business owners need to have, put good people and good systems in place and you’ll be able to focus on the business as oppose to doing the actual performance. OWEN: Earlier you’ve mentioned some of the tools you’re currently using to systematize the business which obviously SweetProcess is one of them. But one of the things I want to talk about now is specifically your continuing education system that you have in place. I think that’s something the listeners can learn from. MICHAEL: I like this. This is something that I borrowed. I don’t know where I got it so I apologize to that person. But basically they do it with an idea called progression. It’s kind of like a learning unit. So one of the systems that I found most challenging to incorporate was continuing education for everyone. Online marketing is constantly changing strategies, need to be re-thought and tinkered with to be improved and be made modern. So one of the things that we incorporate are simple progressions, meaning progression one, progression two, these are things that people work through. And everyone contributes to them. And a progression is as simple as one piece of information that helped you do a better job. And every team member shares one of those month and they check off the other people’s progressions. And that allows us to sort of… I’ll learn from them, and especially in distributing team environment where we can’t all be in the office 2 pm on a Thursday for the team meeting. Being able to do things this way has allowed us to… I learn from another, and in turn continue to deliver high value. OWEN: And just so that we can make that whole continuing education system and progression concept more concrete for the listener can you use a specific role or function in the business and how that continuing education and progression thing plays a role? MICHAEL: Yeah, absolutely. This is something as simple as a new advancement just recently came out in one of the pieces of software that we use that’s really going to allow us to accelerate ourselves. And unless you actually read the blog post that was written about this new feature you would’ve missed it. In the world of online marketing there were just so many things buzzing about. So to have five people out there on top of these things, sharing the most interesting, the most helpful thing that they learned over the last month, things like that they catch up and they get logged into our continuing education board, and that’s huge for us. OWEN: That’s awesome. How do you even track and verify the results that your employees have delivered? MICHAEL: I think for us in the unique situation of just being an online marketing company, it’s probably easy for us. In terms of verifying the results delivered by employees, the employees’ results are our clients’ results. In the sense if our clients aren’t getting results then there’s probably something wrong with the implementation of our work. OWEN: That’s just straightforward, because at the end of the day you guys are there to make sure the client is getting results. And in this case results from sales and probably leads from AdWords. So if that’s not coming out then you’re not doing your work right, very straightforward. And the main thing is just time, whatever the results your employee are having the business goes. That’s the big takeaway from the tracking standpoint is. Now that you have more free time in your business, I’m wondering which areas right now are you focused on in your business and why? MICHAEL: I definitely love what I do. I love online marketing. Having more time to think of new ways to add value to our customer’s experience, to think of new ways to get better results from our campaign. I love having that opportunity. When I’m doing so much, maybe micromanaging, or Cloud system, or I’m doing so much chasing after fires it’s impossible to make the business actually run better. To be able to have systems has allowed us to be able to improve what we do, allow me more time to do things like log, write, speak on stage, start a podcast, all of these things have allowed me to take it to the next level. It’s a great natural evolution. I love being a contributing member to the online marketing space. So it’s absolutely fantastic. OWEN: What is the next stage of growth for your business, what do you plan to achieve next, and why? MICHAEL: I’m really, really excited to start a podcast. I’m starting a podcast, it’s in the works right now for online marketing. It’s so interesting when you systematize it it’s so great because I can see the system being applied to the podcast right now. Who are we contacting, how are we contacting them, what kinds of questions are we going to be asking? It’s so great to be able to do something, have a system as opposed to just trying to do something. So that’s really important for us, getting our name out there. And another thing that’s important to us is making sure that we have that continuing education systems stay strong. Because most online marketing companies don’t really focus on making sure that they’re team members are as talented as they possibly can be. OWEN: Yeah. As we’re coming to the end of the interview, if you were to summarize what we’ve talked about so far, how would you summarize what we’ve talked about so far? MICHAEL: I would definitely say look at the bottlenecks in their business. Whatever’s slowing them, whatever the goals they’re trying to get. They need to isolate what that issue is, document it, and be able to handle off to someone smart in order to implement it. Essentially, if anything needs to be repeated in the business it should probably be documented so that it can function without the founder actually being there. It’s funny now, if someone were to ask me a question in the business right now. Sometimes I will show them a photo of mama bird kicking baby bear out of the nest telling them to fly, and the team really need to rely on the systems to do that for support. Anything that gets done more than once should be documented and the team should know that to. And another thing I would say is if quality isn’t high, if you’re having trouble getting a great, big service or a good product out there’s probably something wrong with the process that’s creating that service, that’s creating that… Take a look at the process going into that, or the system going into that, and then be sure that you’re attacking that and you’re trying to improve that. And having systems definitely sets you up for high quality success. OWEN: I’m assuming that the very next step you should day would be to write things down and get things out of their head? MICHAEL: It’s as simple as that. Start with Google Docs. It’s great. Start with SweetProcess. Start with some thing that keeps tasks, the way they do tasks to a high quality, write those down. And I’m sure if someone’s listening to this they probably have big bottlenecks and start there. OWEN: Yeah. Is there a question that you’re wishing that I would’ve asked you during this interview that I didn’t ask you? It could be a systemization or an information-based question of how to systematize and automate your business, or it could be something up. Whatever you think would make the interview more rounded and give it more value that we didn’t talk about yet. Go ahead, post the question and the answer. MICHAEL: I think the thing for me is what do most entrepreneurs or business owners get wrong? I think the thing that a lot of business owners get wrong because I myself is getting this wrong for a really long time that problems can always be solved by just adding on hours, by just doing more work. In a sense that short, there’s definitely value to working hard and putting in the time and effort into things. But at the same time you have to ask ourselves, is the same thing going to happen in 30 days where I’m just going to have to continue doing all this time and effort and energy. Or is it something that I can document and systematize? So once something gets out I get more free time in the future. I think for a lot of workaholics like me that love growing the business, they love working on the business. It’s impossible to work on the business when your answer to almost everything is just work even more. You want to make sure you’re working smarter, building the systems that you need so that all your hard work compounds one another. OWEN: Final question. What is the best way for the listener to connect with you and thank you for doing the interview? OWEN: I’m speaking to you the listener right now. If you’ve enjoyed this interview, feel free to leave us a positive review on iTunes. To do so go to SweetProcess.com/iTunes. If you know other entrepreneurs who find value from this interview, feel free to share with them. And finally, if you’re at that point in your business when you’re tired of being the bottleneck in your business and you want to get everything out of your head, feel free to sign-up for a free 14-day trial of SweetProcess. Michael, thanks for doing the interview. MICHAEL: Absolutely Owen, it was great. Look at the bottlenecks in your business. Document all repetitive tasks in your business and encourage your employees to do the same. Improve upon your processes if you’re not getting the results you’re looking for.